Why fund Publice Service Media with the licence fee? Licence fees remain the main source of funding (63.2%) for Public Service Media (PSM) in 27 out of 56 European countries. 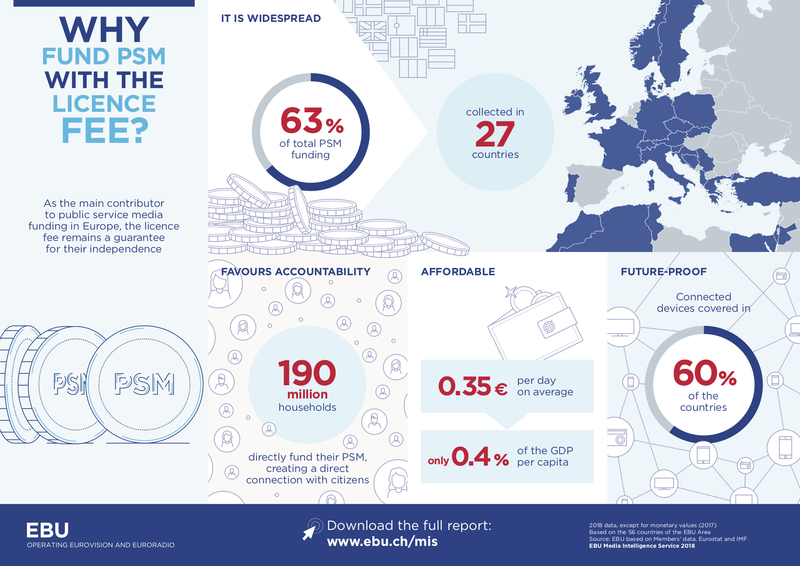 Using data provided by PSM organizations that are members of the European Broadcasting Union (EBU), the EBU Media Intelligence Service’s report highlights that public acceptance of the fee is linked to the perception and performance of the PSM. The licence fee establishes a direct link between broadcasters and the public, making the former more accountable to their audience.